Brigand T.F.1, RH754 in Coastal Command colours, carrying eight rockets and a torpedo. Photographed in September 1947 by CHARLES E. BROWN. 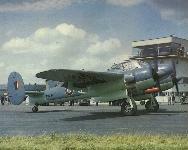 Colour plate shows Brigand T.F.1, RH742, the first production aircraft, at Farnborough. 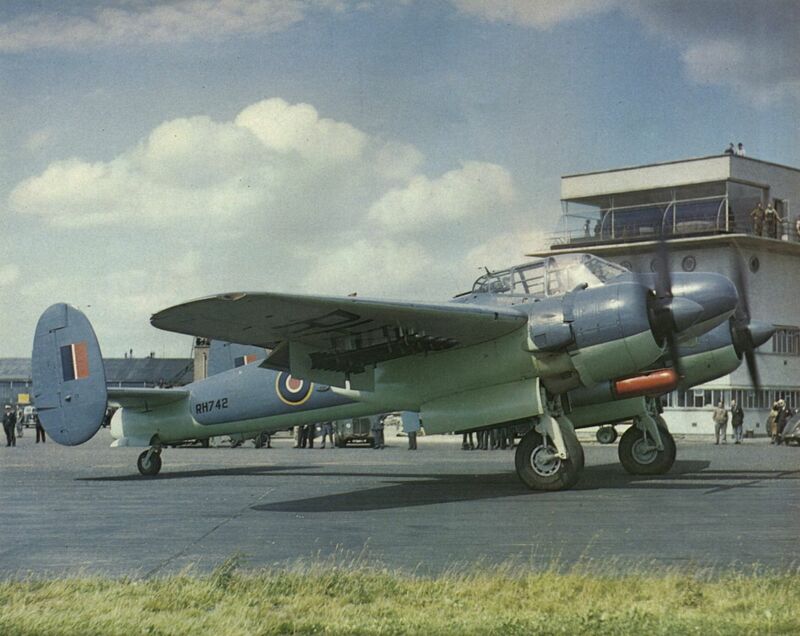 Bristol 164 Brigand T.F.1 in Coastal Command colours. 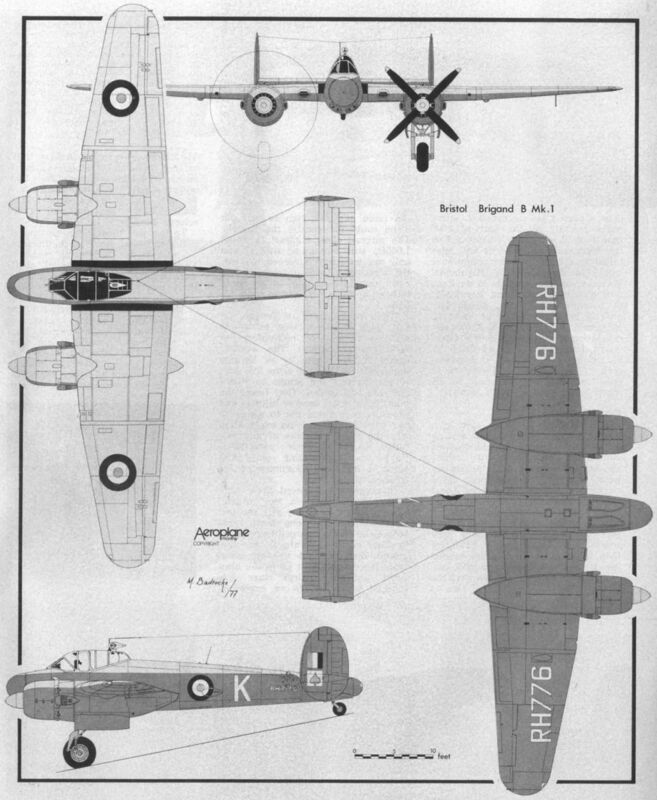 The first 11 Brigands, RH742 to RH752, originally torpedo bombers, were converted to light bombers for service in the tropics. 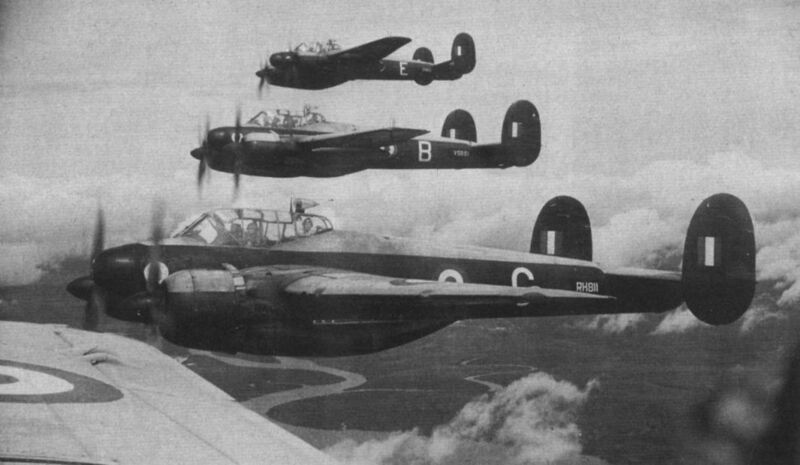 A formation of 84 Squadron’s Brigand B.1s photographed in the Far East in late 1951. 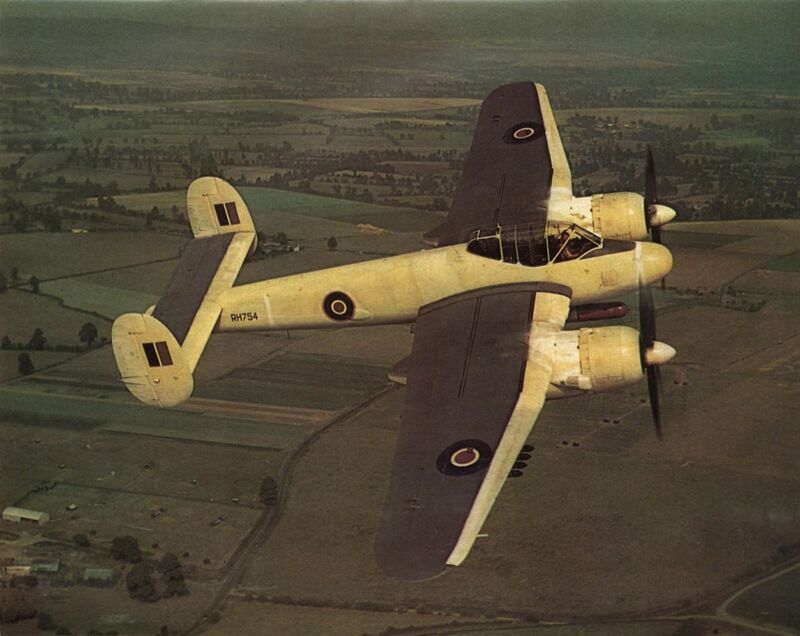 The only other units to operate the type were Nos 8 and 45 Squadrons, although No 1301 Flight, Ceylon, flew the Met 3 weather reconnaissance variant. 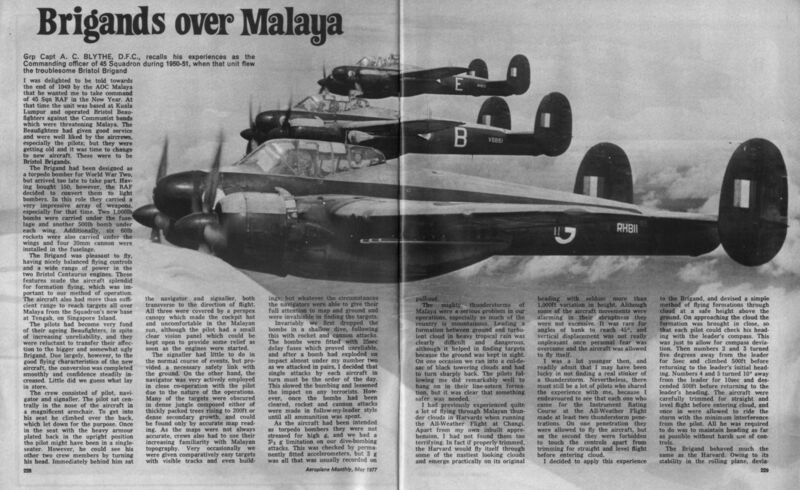 Brigand RH755 of 84 Squadron returning from an attack on a terrorist hideout in Malaya. 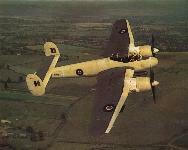 A fascinating shot from a tight turning Brigand, showing the hollow, tubular wing tip vortice. 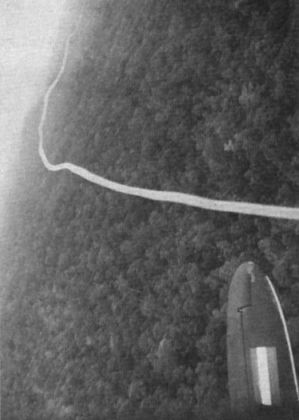 Twin wing-tip vortices stream behind a Brigand as it pulls out from a rocket attack on a bandit position. 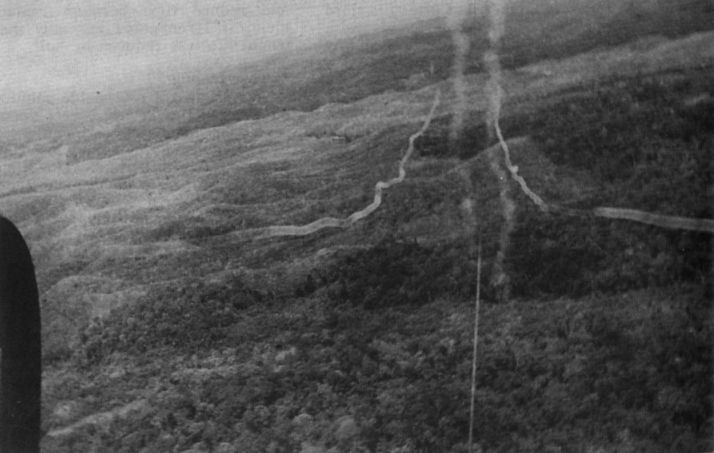 Smoke trails from the rockets can be seen between the vortices. 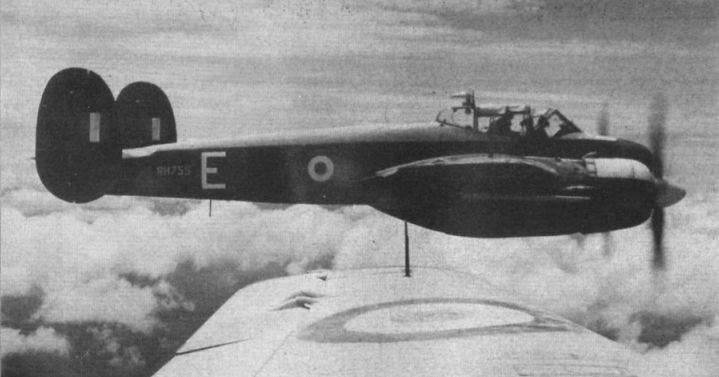 A Brigand in line astern during the return to base after an attack on a bandit position. 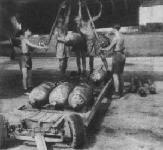 45 Squadron Brigands immediately prior to taking off on an anti-bandit strike in 1950.